A Bangladeshi satellite in the vicinity could offer stiff financial competition to India when it comes to providing satellite-based services to other south Asian nations. Bengaluru: Bangladesh is all set to become the first south Asian nation to have a privately-built satellite in orbit. 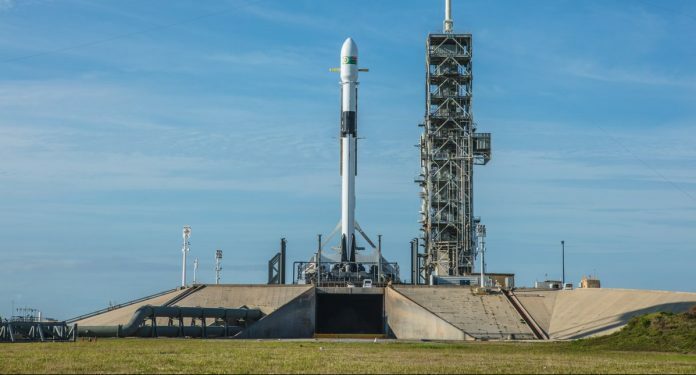 The satellite, named Bangabandhu-1 after the nation’s founder Sheikh Mujibur Rahman, will hitch a ride on SpaceX’s latest, upgraded version of its powerhouse Falcon 9 rocket, which launches at 4:14 pm EST Friday (1:44 am IST Saturday). The Bangladeshi satellite was manufactured entirely by Thales Alenia Space, a Franco-Italian firm that is Europe’s largest satellite manufacturer. It will carry on board 40 transponders. Half of these will be used to provide communication services to all of Bangladesh’s neighbouring countries, a feat that only India performed till date in the region. The Bangabandhu-1 is a communications satellite, aimed to provide radio, television, and internet connectivity to rural Bangladesh. It will be in geostationary orbit, meaning that it will always appear stationary above a point on earth because its orbital period is exactly 24 hours. Such a location ensures strategic, uninterrupted connection with the satellite from the ground stations. India has its own geostationary satellites: the Indian National Satellite System (INSAT) constellation contains 11 communication satellites currently in orbit. But not all is rosy for Bangladesh just yet. The two ground stations that are supposed to have smooth fibre-optic connectivity between them for satellite services are not functional still. The contract for connectivity between the two ground stations — at Gazipur and Rangamati — was given by the Bangladesh Telecommunication Regulatory Commission (BTRC) to the government-run Bangladesh Telecommunications Company Limited (BTCL). Media reports say the BTCL seemingly hasn’t made any progress, so the BTRC is considering roping in private players, specifically Summit Communication Limited. The job is expected to be completed in under two weeks. Since the satellite will take at least a month to get placed into its final position, it is likely that Bangladeshi government is holding off on an expensive but easy project until it has ensured that the satellite is on its way to its destination. Bangabandhu-1 will be launched on a modified Falcon 9 rocket, private space firm SpaceX’s biggest moneymaker. This variant is named Block-5, and features a number of upgrades. An attempt will be made to recover its first stage, and it can be launched into flight nine more times after inspections, unlike the previous Block-4, which could only fly twice. It was also developed keeping in mind the future goal of carrying humans and has only two stages. The rocket was scheduled to be launched two days ago, but the launch was aborted with just under 60 seconds on the countdown. The literal last-minute abort was called as a standard procedure by a ground systems computer. The launch window opens again at 1.44 am IST Saturday, 12 May. The rocket will blast off from Cape Canaveral in Florida, from Launch Complex 39A, which was the site of the historic Apollo 11 launch. It is unclear whether Bangladesh decided to go with Space X for reasons of cost or competition. However, India’s rockets are ill-equipped to carry a satellite the size of Bangabandhu-1 into orbit (it weighs over 3,500 kg). For the kind of orbital height that is required, ISRO’s most powerful rocket, the GSLV MkII, is capable of carrying only 2,500 kg and the GSLV MKIII is still being honed. What’s undisputed is that as more of India’s neighbours venture into the satellite arena, the country’s monopoly over the skies in the region will slowly start coming to an end.